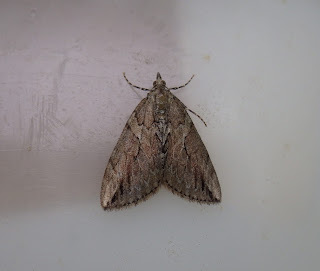 I had a busy spell of trapping on four consecutive nights last week (3-6/7 inc.), with the last night being Thursday - I was too tired to trap on Friday and since the weekend the weather has temporarily deteriorated. 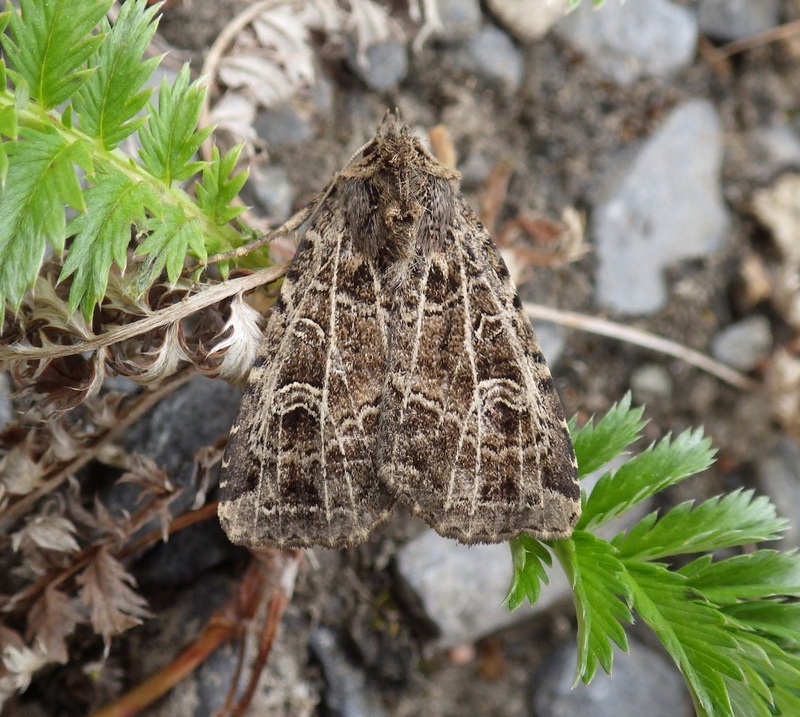 I did a little `dusking` at Pembrey Harbour last night (Monday 10/7) with one good find but news of that will have to wait until the next blog. 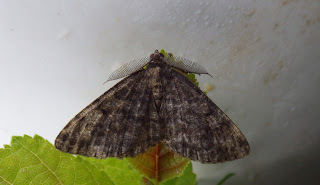 My trapping sites were the `home trap`, three sites near a raised bog close to Pont Abraham in SE Carms (SN50) and again three traps at some Salix woodland/fen just east of Pwll. 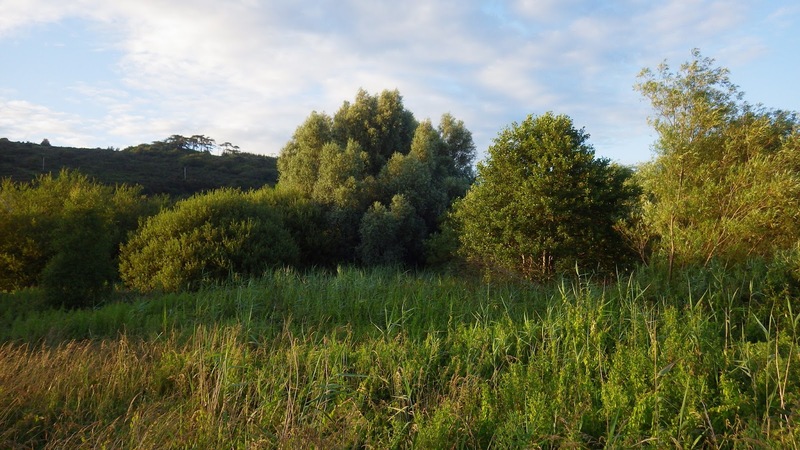 As with a recent trapping session, the afore-mentioned bog site comprised three separate (but nearby) sub-sites: the bog itself, a wet clearing within larches and alders and, lastly, within a bilberry-clad wooded slope. Above: dawn (c 5.00am) on the bog, looking aproximately to the east. My actinic trap can be easily spotted. At the bog, narrow-winged pugs, marsh oblique-barreds and Swammerdamia caesiella were relative highlights. The `larch clearing site` once again had Ptycholomoides aeriferana with Epinotia brunnichana, satin beauties and a tawny-barred angle as supporting cast (as well as a good selection of commoner species). 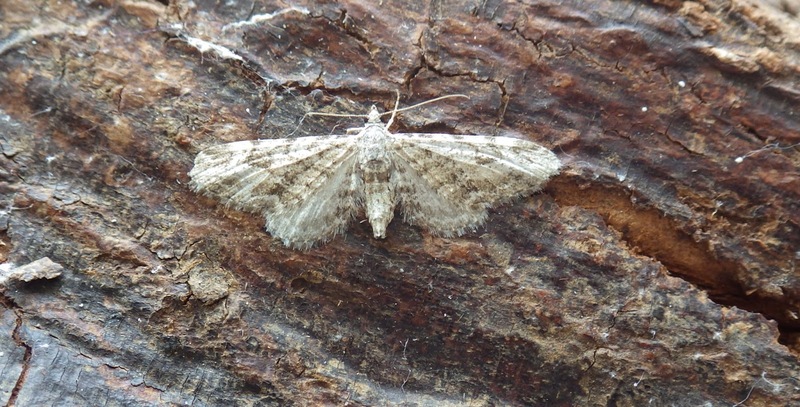 The `bilberry wood` yielded a worn bilberry pug, more satin beauties and a pyralid that I`ve got into a state of confusion with (sometimes you can ponder a moth too much!). The pyralid proved (thanks Sam) to be Cryptoblabes bistriga, the species that I`d first suggested - but then considered two others! 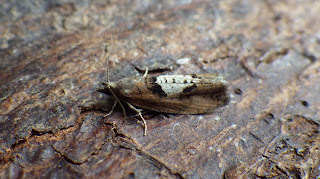 Again there were good numbers and variety of other moth species. Above: willows and fen at the eastern end of Pwll. Highlights here included silky wainscot (just the one), Chilo phragmitella (many), southern wainscots, a double-line, bordered sallows and an incongruous cypress carpet amongst the reeds. The latter moth must have wandered a short distance from a nearby STW (which is screened by tall cypresses) and where I also had a trap sited - but did n`t catch a cypress carpet in that one! Above: cypress carpet resting on the side of one of the vanes on the trap. 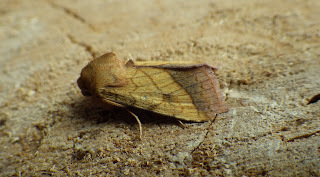 The home garden traps had some pleasing moths - my first Zeiraphera isertana, four-spotted footmen (two males), more marsh oblique-barreds, l-album wainscot (only one), Rhodophaea formosa (twice, in addition to previous 2017 records) and a nice surprise: Argolamprotes micella, a moth that I`ve been waiting for for some time! Above: Argolampotes micella, new to Tyrwaun, Pwll. 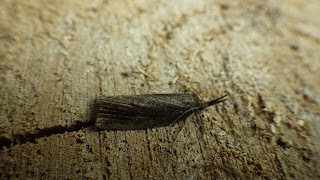 Above: Zeiraphera isertana (associated with oaks), also new to the garden trap. The rear of its wings are damaged. 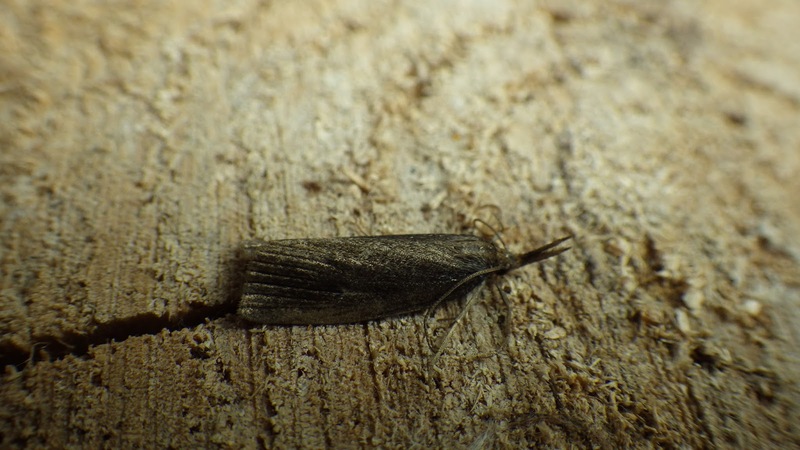 Migrants have been represented by three dark sword-grasses and a single rush veneer, but no sign of any silver y`s. It seems that SW England and Wales has fared relatively poorly for interesting migrants compared to SE England in recent weeks.